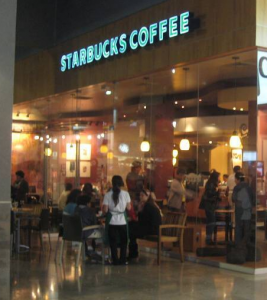 Starbucks is one of the largest coffee shops in the world, and they are certainly one of the most popular. Having spread around the world, this is a very successful, and still growing publicly traded company. It’s often the first thing that people think of when they want a cup of coffee or a latte, and as a result of this, new stores are constantly opening, and new employees are always sought. Looking for a Starbucks Job Application, you’ve come to the right spot! The most visible jobs at Starbucks are the café jobs. Baristas are the ones that make and serve coffee, and this is the most widely held entry level job here. The next step up is the shift supervisor. These are the individuals that organize the baristas and assign duties for each day. There are also assistant managers and managers in each individual store. Starting pay for baristas is usually just over minimum wage, going up to about $8.50 per hour. Supervisors can expect about $9.50 per hour, while management positions start at around $35,000. There are also other jobs within the company, some of them which may require travel. IT jobs exist, as do call center and sales positions. District management jobs are out there, as are purchasing jobs. Many Starbucks employees find themselves traveling to the farms and plantations where coffee is grown in order to help farmers create the best product and make sure that the very best beans are being purchased by the company. Corporate roles also exist, ranging from human resources, to finance, to legal, and more. The Starbucks logo is one of the world’s most highly recognized company logos in the world. They have over 20,000 locations spread out over about 65 different countries. In some places, it is virtually impossible to avoid finding a Starbucks because they are so popular. Starbucks also does a good job of taking care of their employees. Most employees are part time, and do not necessarily qualify for things like health insurance, but even many part timers do qualify for this. Things like employee discounts on drinks, stock purchase plans, 401(k) retirement policies, and life insurance are also available through the company, even for most part time employees. And because it is such a large company, there are many opportunities for career advancement. The company is always in need of new supervisors and managers, and being promoted after you’ve gained some experience and shown what you are capable of is common. The company also offers leadership and training courses for those that are interested in increasing their likelihood of a promotion. Anyone age 16 and up can apply for a part time position at Starbucks. For supervisory positions and up, it is expected that employees have at least a high school diploma or a GED. Some roles in corporate do require a college degree. Anyone that meets these criteria can apply, but managers are usually looking for people that stand out because of distinct personalities. People can go to any number of coffee shops, but people choose Starbucks because of the unique place it has in coffee culture. It is a large chain so it’s reliable and consistent, but it also retains the small town café feel to it. Managers want to hire employees that will reflect this value and help grow the customer base at the same time. Starbucks employees are expected to adhere to the company dress code, engage in best practices when it comes to food safety and customer service, and do what is best for the company by encouraging sales. It is expected that employees be the face of the company, exhibiting a cheerful and professional attitude, welcoming guests and attempting to learn the names of everyone that comes in. It’s little things like this that set Starbucks apart from other cafes, and it’s part of the reason why this company has grown so quickly in popularity over the last couple decades. The first step to getting a position at Starbucks is filing out a great application. This is one of those companies that gets a lot of applicants, so it’s important that yours be a standout. Managers typically keep applications on file for a year afterward, so there is bound to be a lot of competition for open slots. You may pick up paper applications in the store, just ask the manager on duty for one. Be sure to be polite and professional and not take up too much time. Stores are often busy before and after work hours, so going in during the middle of the day is the best time in order to avoid the crowds. Spend about 30 to 45 minutes on the application at the very least. It is a simple application, but you want to ensure that you are thorough and complete with your answers. Fill things out honestly and thoughtfully, and be sure to attach a current resume with your application so that a more in depth look at you and your background can be given. It helps to indicate that you have open availability (granted that you actually do have open availability) as managers want employees that they can count on to show up if they need to fill a slot because of an emergency or a no show. During your interview, be sure to indicate why you are interested in a job at Starbucks in particular. You could have applied to work anywhere, why have you chosen this company? Having a love of coffee, of café culture, and of helping other people is a good start. Be enthusiastic, but not overbearing. Also, be sure to follow up with any questions that you might have of your own when you are asked at the end of your interview. Preparing a few beforehand can be very helpful as this shows that you’ve thought things through and really are interested in the job. Dress nicely for the interview, and be sure to give the manager about a week to think things through and consider other applicants before you stop by to follow up after the interview. If you’re looking to land a job at Starbucks, you’ve got to be prepared. Visiting these external resources and learning what your future employer expects from you will really help you get an edge. Before you fill out your Starbucks Job Application make sure to learn as much as you can about the position you desire.